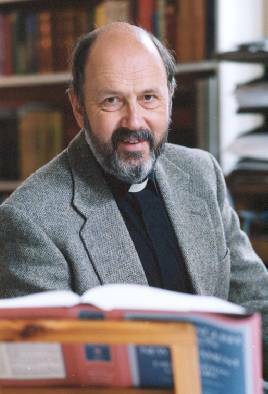 Professor N. T. Wright has agreed to give two lectures at Houston Baptist University March 19-20, 2014 as part of a conference entitled “Paul and Judaism.” Professors Beverly Gaventa (Baylor University) and Ross Wagner (Duke University) will be presenting major addresses as well. The university will issue a call for papers soon to allow scholars an opportunity to join us for this two day event. For more information contact Dr. Ben Blackwell at 281.649.3000. Professor Wright will also be on hand Friday, March 21, 2014, to lecture for the Lanier Theological Library in Houston. Professor Wright has recently completed a new book entitled Paul and the Faithfulness of God. All of his lectures during this series will deal with Paul. Recently Professor Michael Bird sat down with Wright to discuss his new book (approximately 25 minutes). This interview offers a good summary of Wright’s approach. By David B. Capes in Uncategorized on September 11, 2013 . This will be an inspirational event. I have had the privilege of hearing Tom Wright speak on a number of occasions. He is a great teacher who can speak on complex themes with considerable clarity. Excited doesn’t capture our feelings.